If all five of those criteria are met for driving time between the nearest major metropolitan airport and the county seat, a county is bright green. If ANY ONE of those is less than an additional hour (ie one of: DCA/BWI/PHL 3<=4h; JFK 4<=5h, BOS 7<=8h) , the county is light green. If TWO of those, the county is yellow. If THREE OR MORE, it's orange. This map shows every identifiable neighbor, so I could get a feel for what we were currently living with. Bullseye rings are 1/4mi apart, so this shows a 1.25mi radius. There are about 40 of them. A primary goal is to minimize that number. Please note the lovely empty space to the east as well. It'd be good to replace this with an equally empty space like a state park or something. This is actually a pretty low density of neighbors within the target area, compared to a lot of otherwise nice looking properties I've looked at from above. Neighbor counts have shot down a lot of options. There was one lovely parcel adjacent to a golf course.... that had a development of 200 houses about 1/2mile away. I've also made similar maps (all to the same scale) for Ramblewood, Coopers Lake, Buffalo Gap, and Four Quarters Farm (4QF), to get a feel for how other venues are laid out in relation to others. We're doing better than a lot of them already - especially 4QF, which is completely surrounded and tight in. Even Coopers Lake has more neighbors - I gave up on red-dotting them - I think they only get by ok since it's not mega bass. Completely different crowd and operation. "In a perfect world" here's more or less what we're looking for, in no particular order. Everything is subject to flex, as it's unlikely we'll hit upon anything that squarely meets every point. * A paved two lane road going past the property. Gravel on-site is fine but county maintained unpaved roads won't take our bursts of intensive usage, washboard easily, etc. Nothing like a big RV on a winding gravel road. * A town "near enough" for supplies that is "big enough" to have some variety. (ie Middletown [population 12726]. Don't need a huge city, but something bigger than Odessa [population 334] or Townsend [population 378] would be nice.) Note: "town size" and "can get along with" has undertones of "not super conservative" and "not 99% white" in PA, but for the areas we're looking at these may well be a given. * A house and/or outbuildings/barns would be of use for a caretaker, retreats, workshops, artist workspaces, etc - but less mandatory than "the right piece of land". Conversely, a 100 year old farmhouse may be more of a moneypit than doing some efficient right-sized new construction as we define our needs over time. Mixed bag here. * Mineral and gas rights are an open-ended question given the Marcellas inrush. Land will be cheaper without them but it complicates matters if they find something. One possibility is to find a site that already HAS an active gas well, as then it's a known situation, and the land will probably be pretty cheap as they're getting royalties already. * Purchase price ballpark of $500k or less - "the right piece of land" may well require re-evaluation and maybe a capital campaign, but in that general ballpark. $1M is right out. $250k would be awesome. I normally look at listings up to $750k because in this slow a market asking prices are often flexible. The main issue with Delaware is it's Too Damn Flat for massive sound installations. I've biked the five miles of roads around the perimeter in spring with a sound meter at 11pm. Crickets, frogs, and a thumping bassline. The only place I ALMOST couldn't hear the bass was literally a mile away, and the limited trees had negligible dampening effect. Terrain is the only thing that will help in any major way, unless we're talking a half mile of forest buffer, which is tough to find in DE. If we stay in Delaware we'll probably need to bring in earthmoving equipment and spend a hell of a lot of time and money tearing up the property to build up some 10' tall berms on the perimeter in order to CREATE some terrain, or the neighbors will notice, and we're just not going to play that game again. So what this has pretty much boiled down to is either some hunting land or an old farm with some "too rough to farm" areas along the I-15 corridor in PA, north of York/Harrisburg, near one of the myriad state forests and gamelands, somewhere between, say, Muncy and Millersburg (Selinsgrove would be _perfect_). Basically Union/Snyder/Northumberland/Montour counties, plus the adjacent portions of the surrounding counties. Anything in this area is basically a bit farther than the current drive for most people, but not too bad, and typically within 3.5hrs. But actively looking in any of the 14 green or yellow counties in PA is first priority. The land we camp on is basically 2000' x 300', which is a bit under 14 acres. A bit narrower up front and a bit wider at back, but in that ballpark. The front parking lot is basically 2.5 acres. The long/narrow back parking lot right off of Sawmill Branch is about 1.25 acres. Add another 2-3 acres for the expanded back parking area closer to the gate and we probably have a bit over 6 acres of parking in discontiguous chunks. So I'd say 20 acres of combined open land available to us is a pretty fair estimate. This is why I have a minimum of 10-15 acres of cleared space listed in the criteria, because, while cars need fields, not every tent does. Dance camps would be better served in more open spaces, and the burn pad, but a lot of people can camp under trees, which has the lovely side effect of being able to actually sleep past 9am in the Spring without the direct sunlight turning your tent into an oven. Theme camps can go either way depending on their design, and having the option to not need massive shade structures because they're a permanent feature of the property can really affect those decisions. How Can I Help Crowdsource This Puppy? Honestly, posting links to properties is only a very small first step, and not terribly useful. Taking a couple of minutes to look at a website is the easy part. This doesn't mean don't do it because it's certainly the mouth of the funnel, just understand that it's only the very tip of the iceberg. The below usually takes several hours to develop a good feel for a particular parcel. There's a lot more to it than just looking at a particular piece of land. The environment around it is just as, if not more, important. * look at the plat to figure out the actual borders. Sometimes this means contacting the listing realtor through a website link with a very brief "Please send me a copy of the plat and some way to locate the boundaries of the property on Google Earth". Please don't get into details about who or what this is for at this stage. This is considered a perfectly normal request. * near the property: look for location and placement of individual neighbors, developments, churches, commercial, etc. Everything within a mile radius or so. Zoom in and fine-tooth-comb it. * create the "bullseye" showing all of this info in an easy-to-absorb manner. I can do a writeup on my process for this for anyone who is serious. * look over the Township website if they have one to get a feel for who we'd need to be working with - these are like Councilmen here in MD. A lot of this is just "down the rabbit hole" research - spending a bunch of time stalking the property on the interwebs - sucking up data, making observations, figuring out who and what is nearby, what the area is like, and following gleaned leads in this process to learn anything and everything you can about a property AND it's environment. So that's the "initial sort". After that, things that make the cut are worth adding to a "we need to visit that to get some on-the-ground time" list. I prefer to do a lot of the heavy-lifting research up front because, even though it takes a couple of hours to be thorough, that's still less time invested per site than a 2-4 hour drive each way plus a few hours walking the land poking into corners - a good site visit is easily an all day affair. I'd rather narrow the pipeline and drop the candidates that are clearly impractical before getting to that stage, in no small part due to time constraints on my end. Now, the downside to that is that it takes a certain kind of mindset to really be into this phase because for a lot of people the research can be a bit dry, and there's absolutely something luscious and magical about exploring a chunk of ground in person. So if you want to flip the order because you're local to something or just feel like going for a drive and have the time in the beautiful fall weather, go for it! Just don't get TOO attached.... the research still has to happen sooner or later, and the lovely property with the Anabaptists 1/4 mile away that's also zoned for agricultural uses only may not be a good fit in the grand scheme. Etc etc. Oh, and remember, anyone is absolutely free to go an visit an enticing property at your leisure as an individual or with a group. Just don't say you represent a nonprofit looking to buy the land or similar things without a BOD member onsite too. Bring a video camera, bring a digital camera, bring a notebook. Copious notes and visuals are worth their weight in gold. Which is saying something, with the price of gold these days! Last edited by Daveious on Fri Oct 14, 2011 3:58 pm, edited 1 time in total. Took a quick scan through... And all I can say is THANK YOU!! Both for all the effort that has been put in so far and for putting all of this together. I may have more comments/questions when I have time to actually sit down and digest this, but for now, as one of the members who has asked for this information, thanks again!! 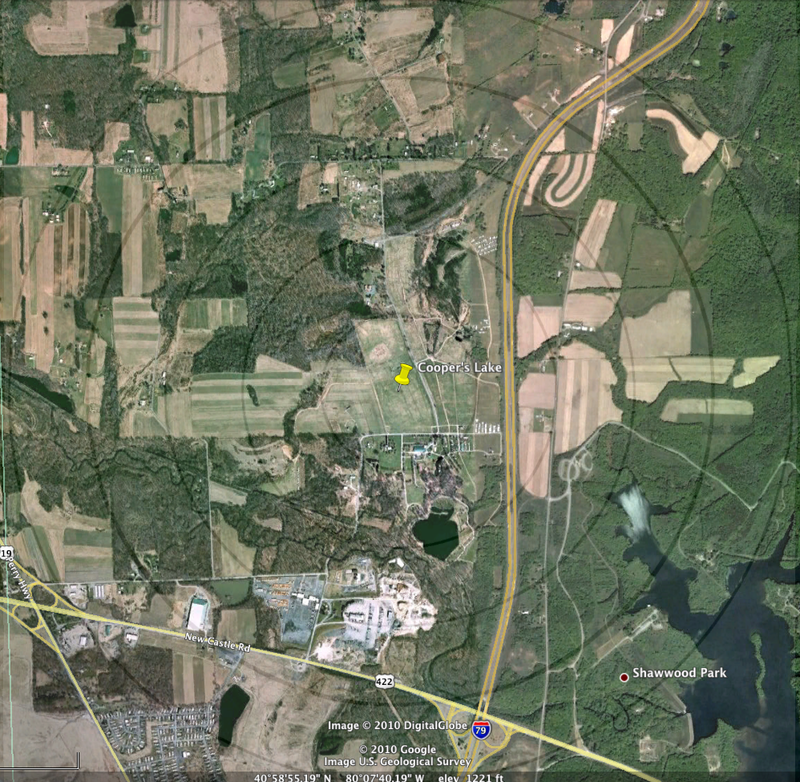 are farms (like the VnVMC was initially), near tidal marshes, etc. for sweater lovers like me, but others may prefer the heat. - Fenced/hedgerowed/streamed boundary to discourage gate crashers. - Internal roads. Imagine the past weekend with no graveled/clayed areas at all! - Pre-tamped soil. The front field is much firmer than the far back which was a mud hazard. - Hosts that act as a buffer to the neighbors. Also, they know some of the local LEOs. - Some luxuries: well water, electricity for both the gates and other locations, stage, pavilion, showers, etc. Last edited by AndyWing on Thu Oct 20, 2011 7:19 pm, edited 1 time in total. THANK YOU!!! extremely informative and useful. I just moved my previous "followup thought" post into the main body at top, and added a section on current land utilization. It's about 20 acres. I'll try to remember to comment here whenever I make a substantive change. I think it is cleaner to have all the info up at the top so you don't have to wade through a bunch of posts to get amendments and updates I'm also going to try and redirect other conversations in other threads over this way, again for consolidation, to keep the info focused. I see a few promising ones, but I'm too locked down with school work to help research for now. Hello! I think I may have just found my new focus for my OCD. Oddly I love researching, and especially real estate. I've found myself reading township zoning and permitted use documentation for fun! Even odder, is I have not yet attended (I struck out on tickets this year), but my friend has/is and I've got a pretty good feel for it through his eyes and know I would enjoy. So figure this might be a neat way to get involved... finding the proverbial needle in the haystack. Along with finding the "right" parcel, the price point will be tough.. I've recently checked out parcels near me for my own interests and they were in the 10k/per acre range and quite a few sold parcels went for significantly more. These were 40-50 acre tracts. Although land is about the toughest type of RE to sell, so its all about finding the right parcel with the right seller. 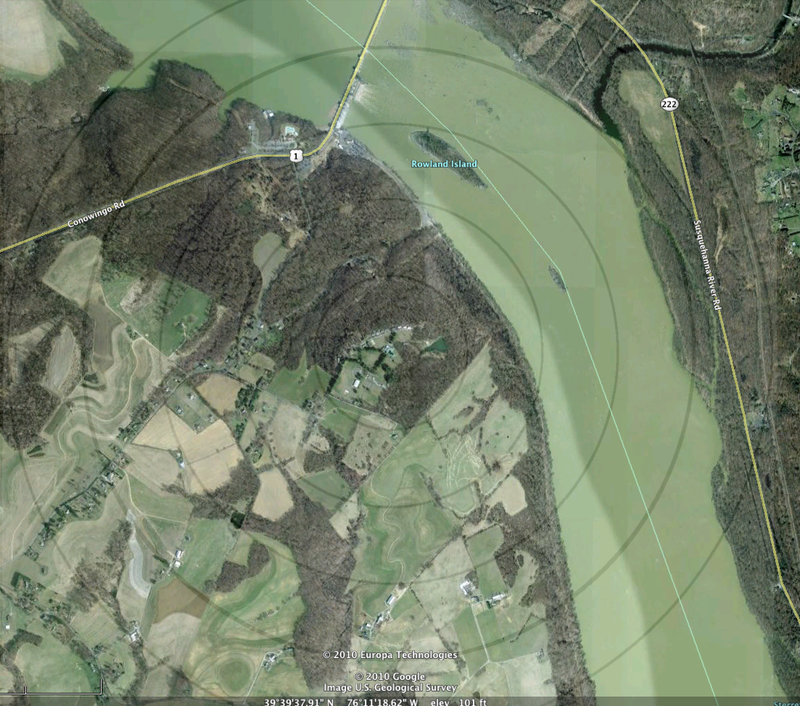 If I find anything that looks good on Google Earth and appears to be zoned appropriately, I'll be sure to share! here are some links to a piece of land that someone submitted on the facebook group page.